Private family services are scheduled for Raymond D. Durflinger, 49, Lawrence. Private inurnment will be in Oregon.Mr. 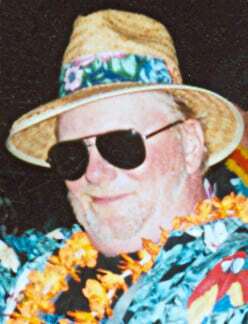 Durflinger died Thursday, Dec. 6, 2007, at his home.He was born July 23, 1958, in Hutchinson, the son of Irvin and Margaret Elliott Durflinger. He moved from Bellevue, Wash., to Lawrence in 1994.Mr. Durflinger worked as a finish carpenter for Natural Breeze Remodeling in Lawrence.Survivors include two daughters, Autumn Leigh Lee, Salem, Ore., and Emily Durflinger, Perry; a son, Joshua, Perry; his father and stepmother, Irvin and Clara Durflinger, Lawrence; a brother, Ron, Lawrence; and six grandchildren. The family will receive friends from 6 p.m. to 7:30 p.m. Tuesday at Warren-McElwain Mortuary.The family suggests memorials to the Joshua and Emily Durflinger Educational Fund, sent in care of the mortuary.Online condolences may be sent at www.warrenmcelwain.com, subject: Durflinger.